During the 1970’s, recording your voice or music onto small cassette tapes was all the rage. 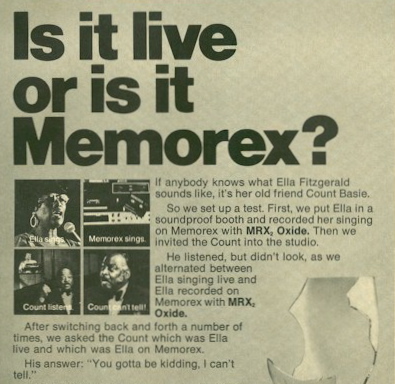 The point of the ad was simple: Memorex tape recordings were so high-quality that it was almost impossible to tell if what you were hearing was live or pre-recorded. 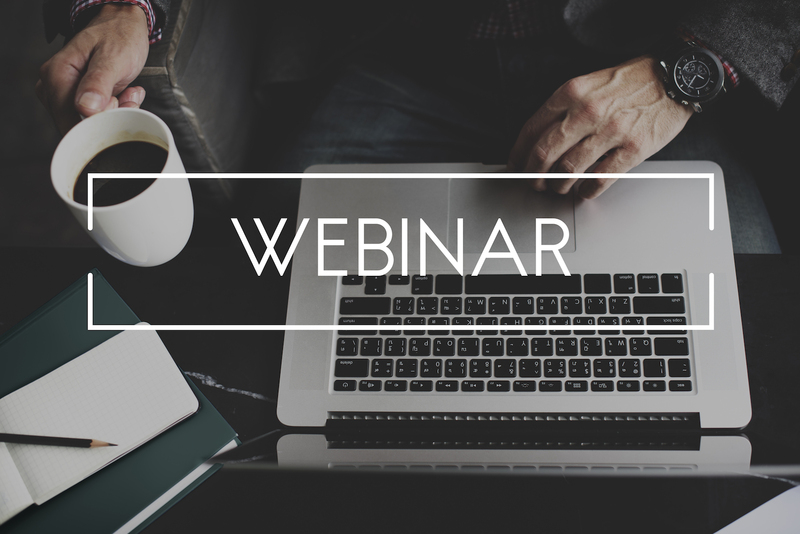 Is Your Webinar Live? 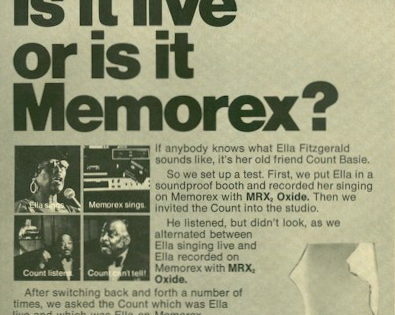 Or is it Memorex? This perfectly illustrates how to overcome one of the big misconceptions about how to create and run a webinar – that you have to be “on” and not miss a beat when giving your presentation live online. When I first started giving webinars five years ago, I always did them live. It was draining, giving those “live” performances every day – especially when I could see only 2-3 people were on for a particular session. Then I was introduced to the Holy Grail of Webinars … the Hybrid model. In a Hybrid webinar setup, you pre-record your entire presentation. In essence, you “bottle up” your best performance, making sure you’re high energy, on point and in fine form vocally and energy-wise. And then, you “give” that bottled up performance to a “live” audience while you are also online, running the Chat area, launching polls and interacting with the audience as the best version of you plays via the pre-recorded video. It’s like being in two places at once! With a Hybrid webinar, I can come on live, warm up my audience by talking to people directly and calling them out by their names, etc., and then seamlessly switch into my pre-recorded, pitch-perfect presentation by injecting a video recording. Then, while the video plays, I can also answer questions in the Chat area, launch polls and monitor the audience in real-time. Best of all, I can come back on “live” once the video is finished, and again, via a seamless transition, conduct a live Q&A session to close more sales and answer last-minute questions. Hybrid webinars are win-win, because not only do you get to save your energy and voice while delivering a pitch-perfect presentation, but the audience also gets your BEST possible performance and BEST content at the same time. Using my favorite webinar platform, it’s as easy as clicking one button to switch from “live” to pre-recorded videos, and the audience literally can’t tell if it’s live or if it’s Memorex. As a child of the 1970’s, I remember that ad campaign well, and I’ve taken its lesson to heart when it comes to delivering wildly successful, high-converting webinars online.